PETALING JAYA: Residents in Sungai Way are fed-up of having to face problems of low water pressure. 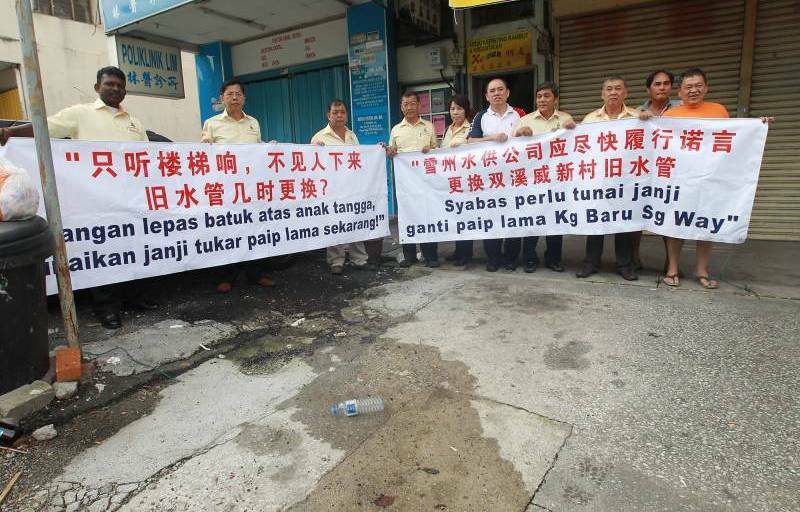 They have sent a message to Syarikat Bekalan Air Selangor Sdn Bhd (Syabas) that they will no longer tolerate any excuses for not replacing old pipes. For the past four years, the pipes have been bursting under high pressure, and the residents claim Syabas has failed to respond to their pleas for help. On Sunday, about 20 residents and traders staged a protest against Syabas in front of the Sungai Way market demanding that Syabas replaces the old pipes soon. Also present was Kampung Tunku assemblyman Lau Weng San, Petaling Jaya Municipal Council (MBPJ) councillor Darren Tiong and Sungai Way’s Community Security and Development Committee (JKKK) chairman Ting Eow Hai. 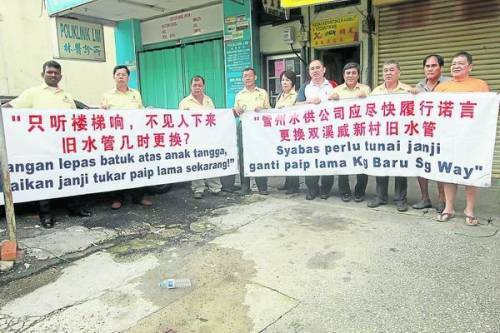 “The Community Security and Development Committee has been urging Syabas to replace the old pipes for many years because the residents have been facing low water pressure,” Lau said. Syabas corporate communications and public affairs executive director Abdul Halem Mat Som said Syabas was aware of the problems. 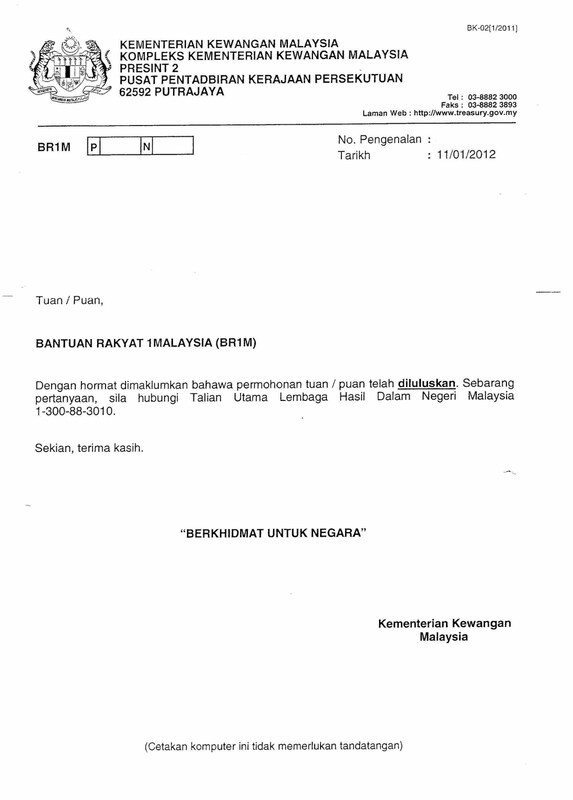 He added Syabas had taken action according to the standard operating procedure. “However, as a long-term solution, Syabas has proposed the pipe replacement project, which covers 8km in Sungai Way New Village, be implemented immediately,” he said. 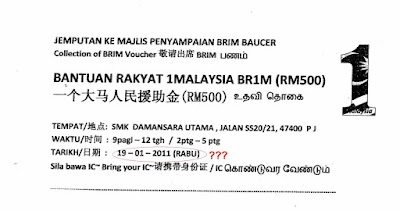 The complainant told me that the date printed on the slip was misleading as 19th January 2012 is actually a Thursday but it was printed as "Rabu" or Wednesday when it should be 18th January 2012 if the day to claim the monetary aid falls on Wednesday. Also it seems like our officers in the Finance Ministry are still living in yester-year as it was "2011" printed on the slip and not "2012". A check with 2011 calendar shows that 19th January 2011 was actually a Wednesday. Alas, the officers are still using the old calendar! The complainant told me that it is very confusing for him. I did try to help him on the spot by calling the two telephone numbers printed on the letter, ie 1300-88-3010 and 03-88823000 but could not get through. Thus the complainant will have to check it out on Wednesday and do the job twice if the exact date of the disbursement was not on Wednesday but Thursday. It was reported yesterday that a group of residents were not allowed to claim their money, causing unhappiness in SMK (P) Sri Aman. Before that, the date of the first disbursement was actually postponed once. Certainly, rushed jobs do not always mean good jobs. I regret that Syabas has been launching some media campaign in the name of "water crisis" to arm-twist Selangor state government to agree to Langat 2 water treatment plant. I urge Syabas to discard such heinous political games and concentrate on improving its efficiency and services to the people during this interim period. Therefore, it is the responsibility of Syabas to immediately replace old pipes in Selangor, particularly Sungai Way new village where villagers have to bear with low water pressure and leaking underground pipes almost everyday. Villagers start facing low water pressure several years ago. When PR first took over the state government, I have requested Syabas to examine the problem and find a quick solution to it. Although Syabas does come and resolve the problem immediately after receiving complaints, this is insufficient to resolve the problem. 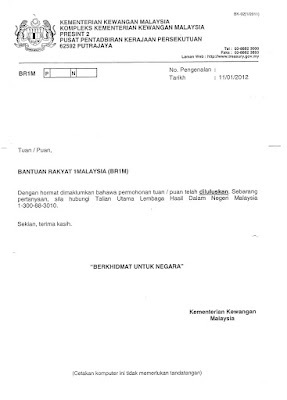 Syabas has agreed to replace the old pipes in Sungai Way in a letter addressed to the Sungai Way new village JKKK in April 2011. However, the JKKK was informed in December 2011 that the project has to be postponed pending financial approval from the Federal and State government. I do not know what kind of approval Syabas needs from Selangor State Government the state government usually is not involved in Syabas' old pipes replacement scheme. I hope Syabas can immediately resolve whatever internal problems that they are facing and embark on the old pipes replacement scheme in Sungai Way new village. 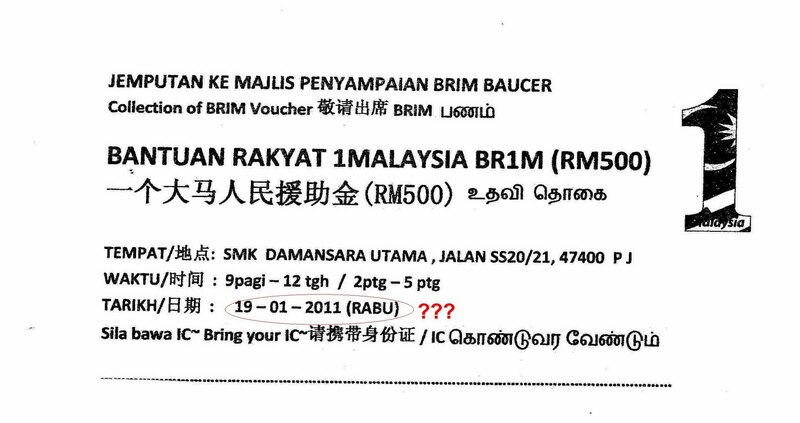 More importantly, Syabas has already promised to implement the scheme last year. This is the real business that Syabas has to concentrate instead of playing politics by using "water crisis" as reason to mislead and arm-twist the state government of Selangor to give-in to their demands.